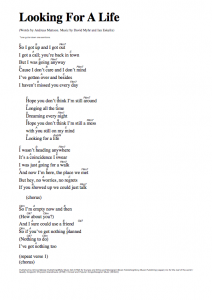 By “popular” demand (well… at least I got three or four requests) here are the chords and lyrics for “Looking for a life”. Please feel free to have a go at the song at this summer’s camp fires! If you want to know more about the background of this particular song from my new album Soundshine – read a little bit more about it in some old blog posts – for instance here or here. Click on the player above to listen to the two-hour long interview I recently gave conducted by radio host Michael McCartney of the Hawaii radio show Time Machine! You can also head over to the actual web page of the Podcast (with various sharing possibilities) where you’ll be able to check out some of my new videos and some older Merrymakers clips. Singer-songwriter David Myhr was a guest on The Time Machine. The multi-talented artist shared with the radio audience his thoughts on his latest album “Soundshine”, which is his first solo album after years of wonderful music as a co-founding member of The Merrymakers. David also discussed the stories behind many of the songs released by The Merrymakers. 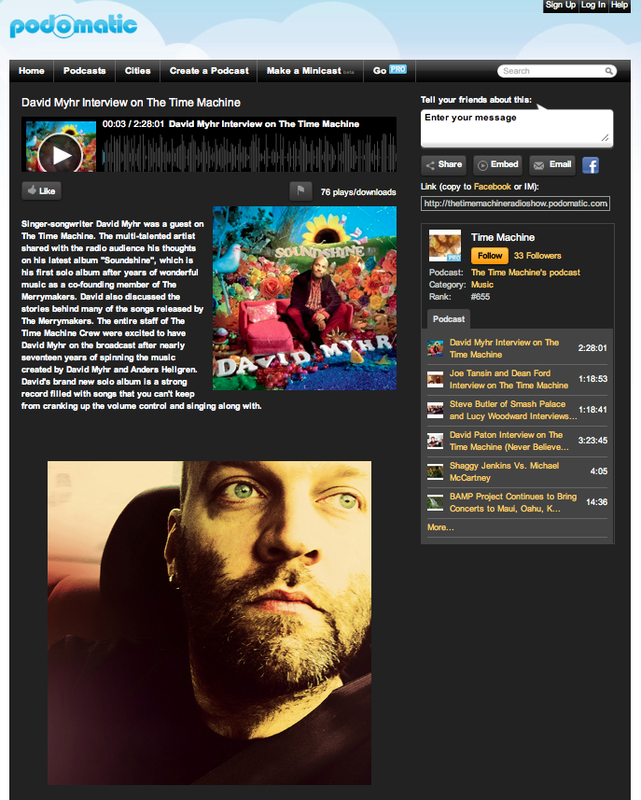 The entire staff of The Time Machine Crew were excited to have David Myhr on the broadcast after nearly seventeen years of spinning the music created by David Myhr and Anders Hellgren. David’s brand new solo album is a strong record filled with songs that you can’t keep from cranking up the volume control and singing along with..
Apart from ALL of the songs from the new album Soundshine there will also be a lot of music from The Merrymakers (including some rarities), Jellyfish, and Paul McCartney. I “hope you will enjoy the show”!